A lot of people have sheds or garages on their properties — or both — but more often than not they serve as a catch-all for lawn equipment, seasonal recreational toys, and anything that’s been cast out from the house. Garages and sheds are some of the most under-appreciated outbuildings there are, but not all of them suffer that fate. Here are a few of the coolest things that ever happened in sheds and garages, via Popular Mechanics. 1. A Huge Technology Company Was Started. Hewlett Packard has become a household name and electronics company. Everything from printers to laptops now bear the name, but the company had rather humble beginnings. One of the first endeavors the company ever undertook was in 1939 in a shed in Palo Alto, CA. Bill Hewlett and Dave Packard were class mates at Stanford at the time, and in that shed they created the first ever HP product: an audio oscillator. 2. Nobel-Prize Winning Research Took Place. Marie Curie has always been most famous for being awarded two Nobel Prizes — one in Chemistry and one in Physics — but she didn’t have the luxury of an expensive lab. She worked in a shed. Most of her research was performed there, and she stored plenty of radioactive isotopes in it. 3. A Famous Motorcycle Company Began. Harley Davidson is the biggest name in motorcycle manufacturing, but this company came from humble beginnings as well. Through some happy accident, William Harley and Arthur Davidson’s plans fell through. What came of it was the first charismatic motorcycle marque, which was build in a 10 foot by 15 foot shed. 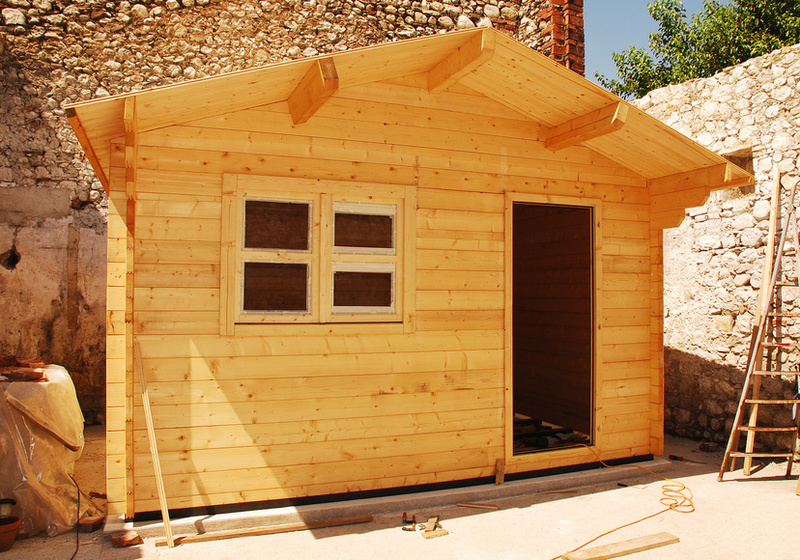 Not all corner sheds have ground-breaking research being performed inside, and not every garden shed becomes a motorcycle or technology building shop, but next time you judge a dilapidated shed or write them off, think again.